Elena is a lifelong devotee of dance having begun classical ballet training at the age of three. She began her Bellydance studies at the age of twelve in her living room with a couple of video tapes and a hip scarf. Her love for Bellydance continued to grow and she continued her research into the many different styles of Bellydance, always wanting to know more. She began her Bellydance studies in the Egyptian and Cabaret styles, but upon seeing a video of Rachel Brice in 2006 started to fall in love with Tribal Fusion. Tribal Fusion has proven to be her main passion, but she always comes home for a visit to the beauty and tradition of the Egyptian styles. 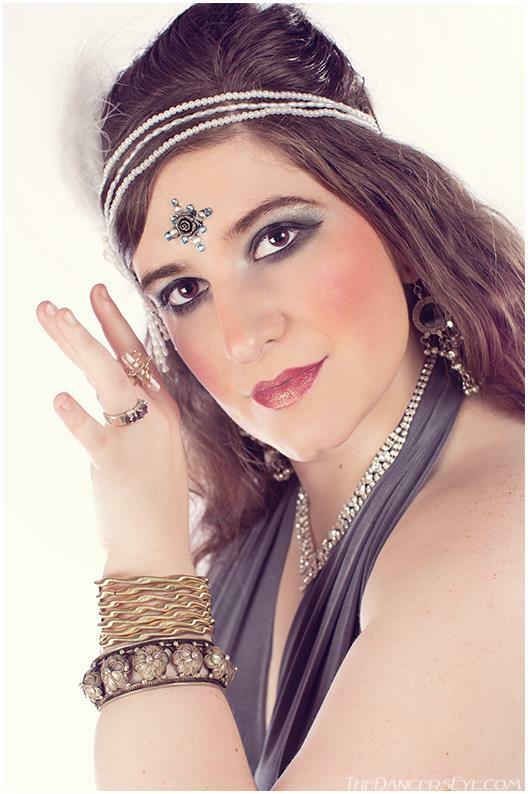 Elena began teaching Bellydance in 2008. She strives to bring bellydance to all of her students regardless of age and physical limitations. She has a unique understanding of the healing power of Bellydance having used it as a main source of her recovery after a major car wreck in early 2008. Elena wishes to bring the beauty and power of bellydance to everyone and can tailor lessons for her unique students while still maintaining the essence of the dance. Elena holds a Bachelor of Art in Acting/Directing from Southeastern Oklahoma State University and has trained in Classical Ballet, Tap, Jazz, Hip Hop and Ballroom as well as Bellydance. Bellydance training includes Egyptian, Cabaret, Tribal Fusion and American Tribal Style. World Dance includes Bollywood, Saiidi, Romany and Turkish styles of dance, as well as Trance Dances of the Middle East. In the past few years, Elena has learned and brought many aspects of Ritual/ Conscious Dance into both her own practices and teaching as well as her performances and with her company Avalouna. Elena has been fortunate to attend workshops with some of the most accomplished bellydancers in the world including Jillina, Lauren, Kaeshi Chai, Princess Farhana, Tamalyn Dallal, Aubre, Bozenka, Virginia, Sa’Diyya, Cyndi Cereigna Elliott and Mardi Love. Elena loves performing for people and bringing Bellydance to celebrations and functions big and small. She has performed for Weddings, Corporate and Family Events as well as Fundraisers and Community Events. Elena is the Artistic Director for The Three Fates Dance Company and Avalouna: Tribal Fusion Bellydance. Elena is an active advocate for the growing Bellydance Community in North Texas, where she currently resides and welcomes all questions, comments and new faces to the wonderful world of Bellydance.